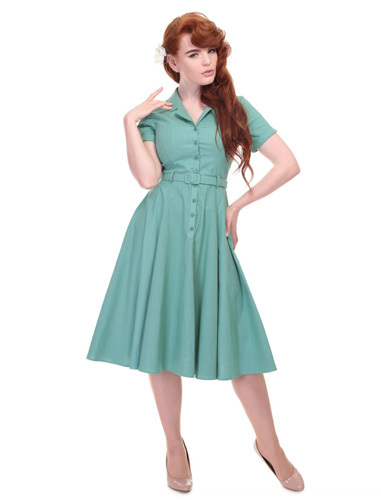 If you want something with a 1950s slant, we would recommend checking out the range at Collectif. 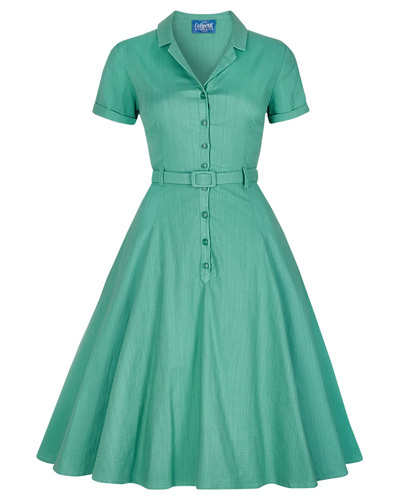 That includes the Caterina swing dress featured here. 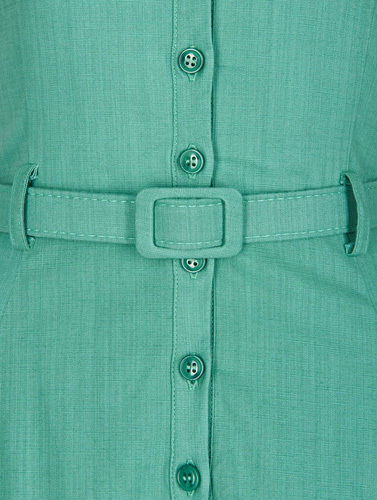 Based around the shirt dress, a classic of the time, this one has an open neck collar, turned up short sleeves and that period button up front, as well as a full swing skirt with side pockets, and a matching fabric belt with belt loops. 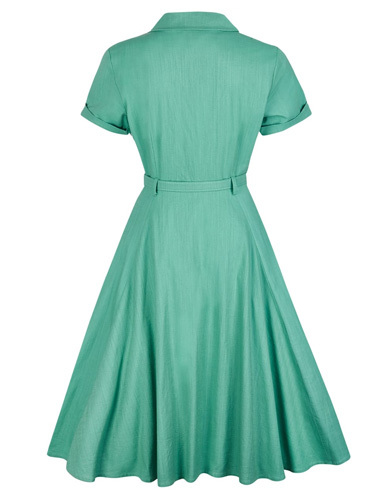 The dress is in an ‘antique green’ linen feel fabric and available in sizes from 6 through to 22. 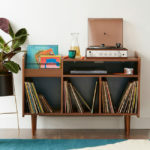 If it’s your thing, the price is £68. 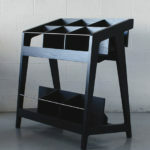 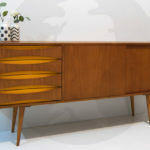 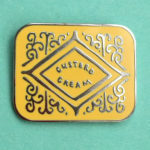 as we said, if the 1950s is your era, do check out the rest of the range too.